I didn't understand why they have different dimensions. Both should have the same length, no? The size which mathematica shows the graphics are arbitrary? 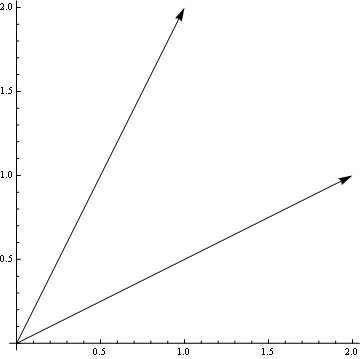 How to get arrowheads scaled to be a fixed fraction of the arrows' lengths? How to dynamically position labels in 2D Graphics?